For the last three years I’ve been writing my book about my 50 years in the music business. I was warned not to write about certain people, certain companies, and certain things which made me want to tell more. As my blog became more popular with over 1,800,000 VIEWS, I began to get bolder and relentlessly went after large corporations and social networks until they discontinued some of their questionable practices. I’m proud to have been the first to write about Tommy James’ shocking book, “ME, THE MOB, AND THE MUSIC” and have an exclusive no-holds barred three part interview with my pal from the past and former label mate…probably the only such event where the participants didn’t have to go into the witness protection program right after the show! 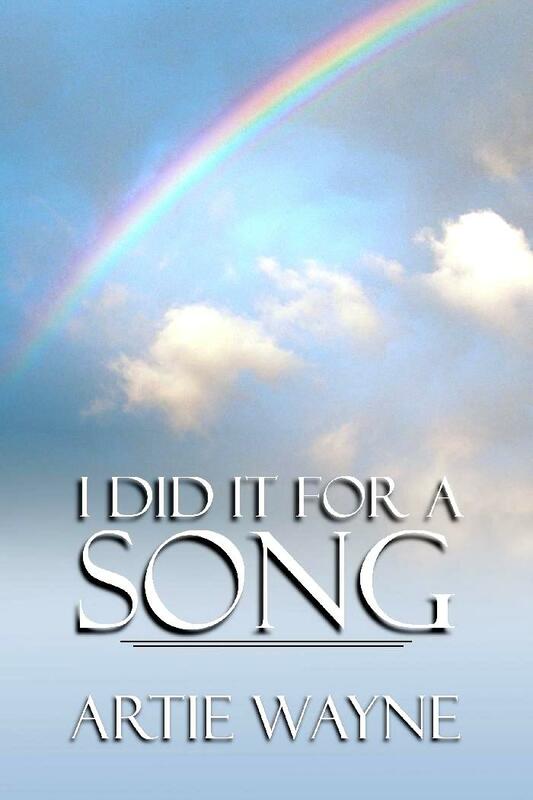 In my book, “I DID IT FOR A SONG”, I write about my first hand experiences songwriting (Aretha, Michael Jackson,Tony Orlando, Cher, etc.) producing (the Kingsmen, The Shirelles, the Guess Who) and getting hits for Warner Brothers Music (“You’re 16″, “R+R Heaven”) and Irving/ Almo music (“I Honestly Love You”, “Our Day Will Come”). I share my private stories about, Carole King, MORRIS LEVY, Neil Bogart, The BEATLES, Jimi Hendrix, SCOTT SHANNON, Eagles, MICHAEL JACKSON, Bert Berns, Alan Freed, BOBBY DARIN, Brian Wilson, PAUL WILLIAMS, Murray The K, TOMMY JAMES and the Shondells, Olivia Newton-John, HERB ALPERT, JERRY MOSS, Don Kirshner, RICK JAMES, Rolling Stones, ELLIE GREENWICH, Clive Davis, Barrry White, DAVID GEFFEN, Marvin Gaye, QUINCY JONES, The Rolling Stones, DAVID BOWIE, Phil Spector, AND DOZENS MORE! Tags: "IDID IT FOR A SONG", Artie Wayne Bio "I Did It For A Song"